Here is a short instruction on using AntConc for simple statistical analysis. 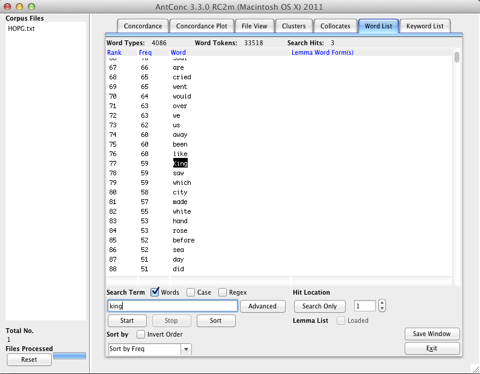 You can download AntConc here. 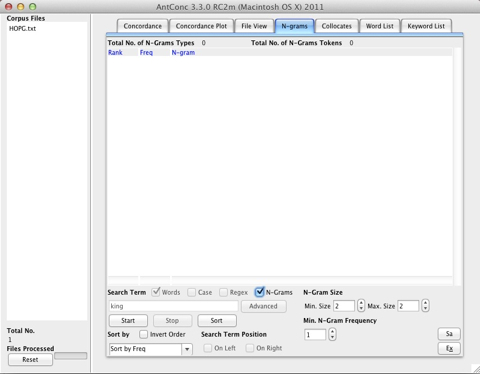 If you are using Mac OS X 10.7 (Lion) or newer, make sure you download the latest release, for me it was AntConc 3.3.0m (RC2. Build 201112171212). 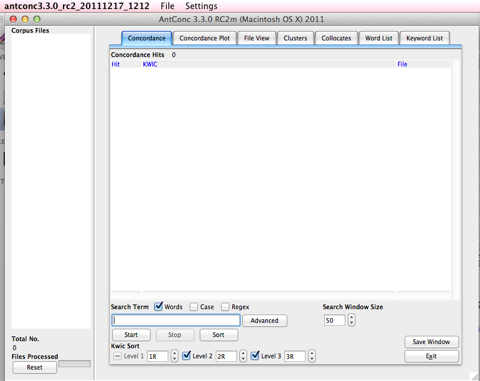 On Macs you will need X11. It is part of the standard distribution in older Mac OS X distributions. On Lion or Mountain Lion you might have to install XQuartz. If you cannot see it in your /Applications/Utilities folder, you need to install it from the distribution DVD or media. 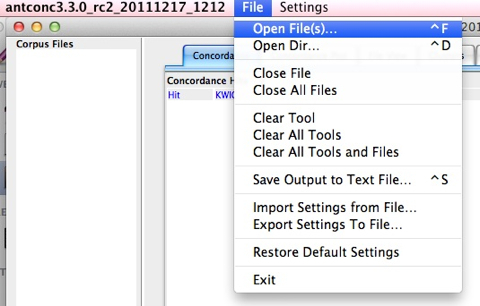 Open the HOPG.txt file in the Corpus folder of our course folder (or any other text you want to use). Note: it should be a text or a XML file. You can see the number of Word Types and Word Tokens in the line above the frequency profile output. You can use it to calculate the type-token ratio, in this case 4086 / 33518. Activate N-Gram as seen below. 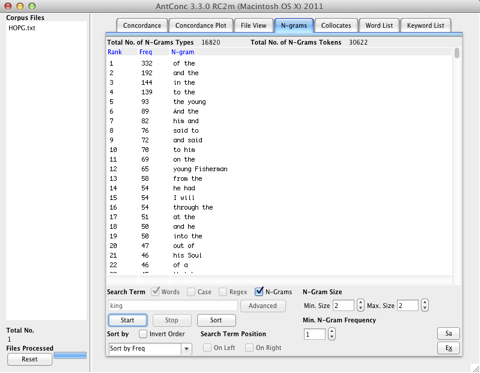 The name of the tab changes to N-grams. The N-Gram Size is set to 2, and under Min N-Gram Frequency you can cut out low-frequent N-Grams by increasing 1 to any number.